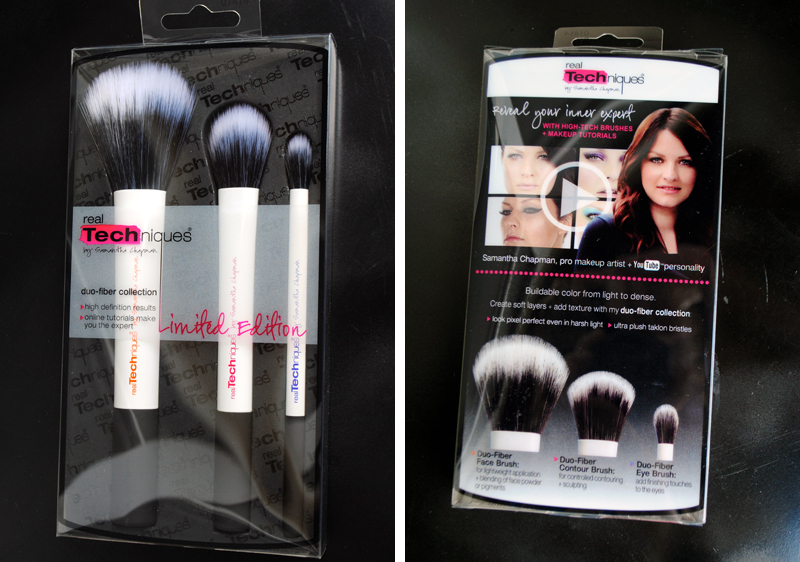 Real Techniques Limited Edition Duo-Fiber Brushes: A 'First Look' Review! O look what just came in the mail! 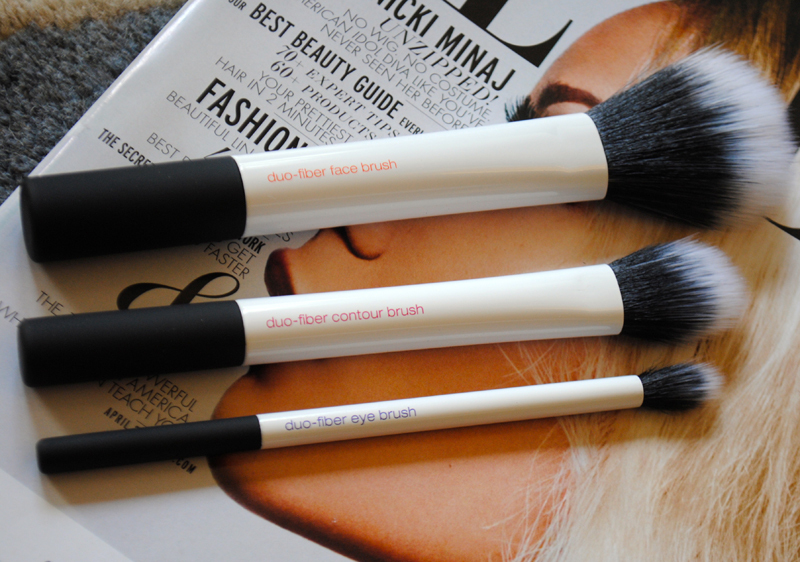 When I heard Samantha Chapman of Pixiwoo and Real Techniques brushes was coming out with a limited edition set of duo-fiber brushes, I freaked out and knew I had to have them. I already have a couple duo-fiber brushes (a little Crown Brush one, a Rite Aid Renewal stippling brush, and the Real Techniques stippling brush). 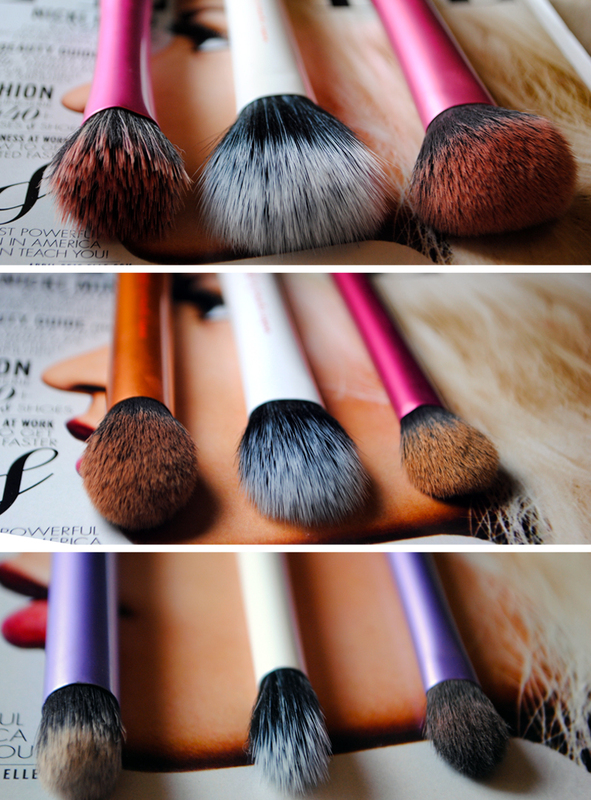 Not that many people had blogged about them already, but I was able to see a few pictures that convinced me that these were different from all the other brushes I owned. I went and ordered them on Ulta.com, since I wasn't sure if my local Ulta had them in stock and I couldn't take the risk...Oh boy, I sound crazy. So I haven't used these yet but I plan to all this coming week, and I'll update this post with what I think of them. If you want these puppies, grab them while they're hot!